D-Day Pittsburgh 75 Exhibit | Soldiers & Sailors Memorial Hall & Museum Trust, Inc. In recognition of the 75th anniversary of D-Day, Soldiers & Sailors Memorial Hall & Museum will present a special exhibit highlighting artifacts from the museum’s collection that have a relevant connection to this historic event. The exhibit will debut on Memorial Day (May 27th) and remain available through the month of June. 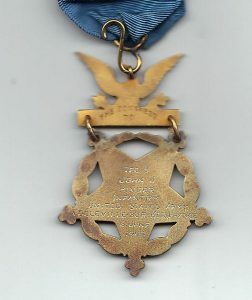 Medal of Honor posthumously presented to Technician Fifth Grade John J. Pinder, Jr., 16th INF 1ST Even after being severely wounded multiple times on Omaha Beach, Pinder delivered an important radio that helped establish communications vital to the success of the invasion. 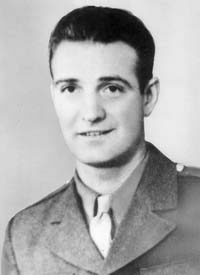 Only 4 Medals of Honor were presented for action on D-Day June 6, 1944, T/5 Pinder being one. Wind torn 48-stare United States Flag flown from LCI 540 (Landing Craft Infantry) when it landed on Omaha Beach. Frank Miller Photo, KIA June 6, 1944. The haunting image of a fresh face youthful soldier killed on Omaha Beach. Rare materials related to the famous 82nd Airborne Division including a jump uniform, photographs and a dress uniform with jump wing insignia worn home at the end of the war.